IEDCO has partnered with Isolation Systems, Inc. (ISI) to provide a variety of containment solutions to the Pharmaceutical and Chemical Industries. 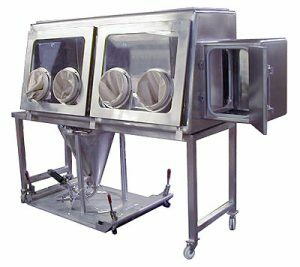 Isolation Systems Inc. brings over 30 years of experience to bear in the design and development of clean process specific engineered, airborne contamination control and containment systems. Our combined engineering and design capabilities have been brought to solve the most complex clean process equipment design requirements and performance specifications. Together we offer full service design, engineering, and manufacture of complete lines of both standard and custom built airborne contamination control, containment, and extraction systems. We are dedicated to providing the full spectrum of airborne contamination control, containment and extraction technologies, services and products to assure the highest level of protection and safety for both personnel and product. 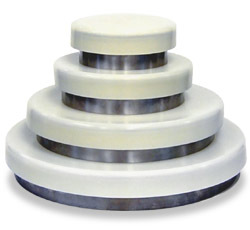 A Dust Cap (or Containment Cap) is a silicone cap which snaps onto a metal collar that has been made a part of a chute, vessel or process. It is typically used to transfer a powder from point "A" to point "B" with full containment of dust during the transfer. Typically, either the discharge point or the receiving point is portable..